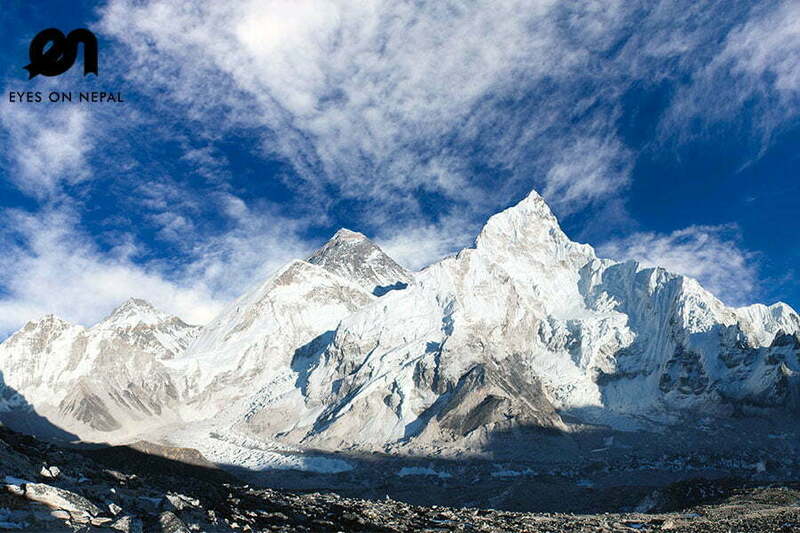 Mount Everest Base Camp Trek is a once-in-a-life-time dream for every adventurer on earth. 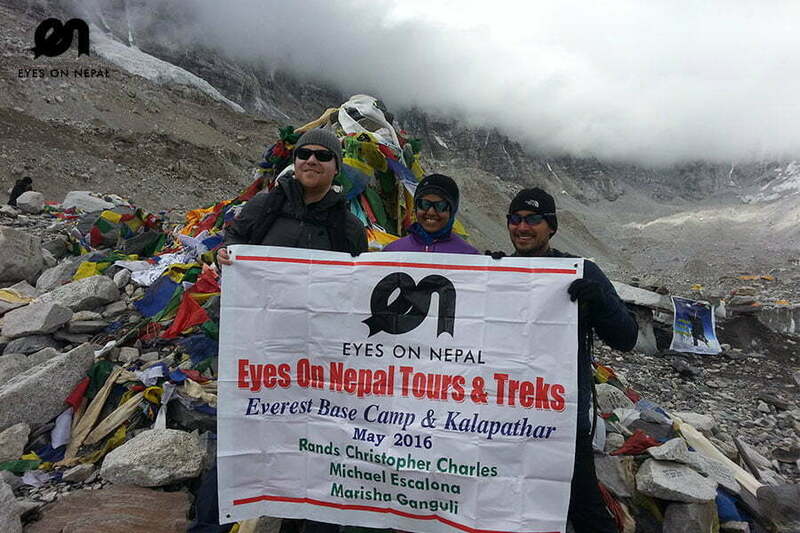 This 12 days 11 nights trek is designed for those trekkers who have no time but still desire to touch Everest! Brace yourself to see the majestic peaks of Mount. Everest, Mt. Lhotse, Mt. Cho Oyu, Mt. Ama Dablam right in front of your eyes. 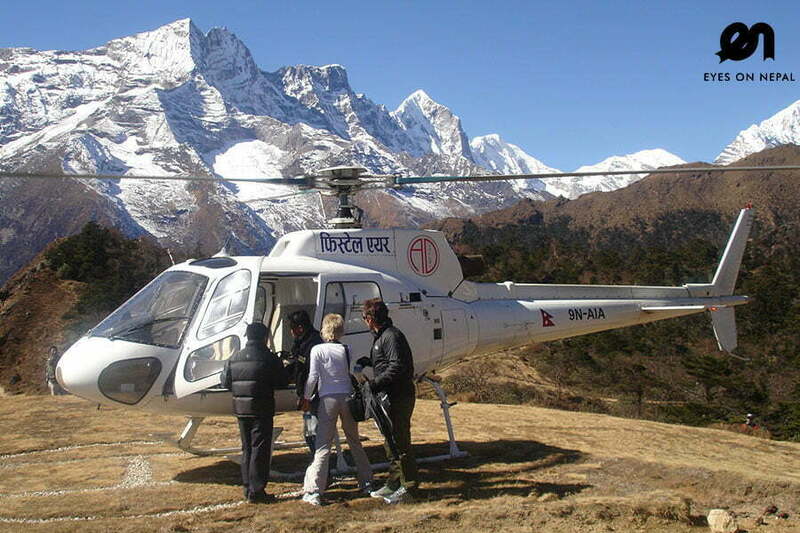 What’s more- wait till you board on earth’s most challenging flight from Kathmandu to Lukla! The entire Mt. Everest area falls under Sagarmatha National Park, a world heritage site. Mt. Everest is home of Sherpa people, renowned for superb mountaineering skill, rich culture and Buddhist hospitality. 08:00 am: Start the trek after breakfast to TokTok (2760m) for 1 hour. 09.00 am: Arrive in Toktok(2760m) and continue the trek to Bengkar(2710m) for 30 minutes. Note: You can see Thamserku(6618m) mountain on your right hand sight. 09:30 am: Arrive in Benker(2710m). From Bengkar, you can see the view of Thamserku(6618m) on front right. Continue the trek to Monjo(2840m) for 1 hour. 10.30 am: Arrive in Monjo(2840m). You can see the KhumbilaPeak(5765m) from Manju. Buddhistsbelieve that it is the holy Himalaya and restricted to climb. NOTE: We will registered and buy the Sagarmatha (Everest) National park entry permit here(Included in fees charged), we then continue the trek to Jorsalle (2810m) for 30 minutes. 11.00 am: Arrive in Jor Salle (2810m) and lunch. 11.30 am: Start the trek after Lunch to Hilary Bridge() for 40 minutes. 12.10 pm: Hilary bridge and start uphill trek to Namche(3440m). Will test your fitness. 03.00 pm: Arrive in Namche Bazar(3440 m). Check in hotel, Enjoy the scenic Namche Bazar and splendid view of Kongde(on front), Kusumkhan and Thamserku(at back). Overnight in Namche. Hiking to Everest View hotel 3900m. It is 2.5 hrs uphill treks. Rest and explore the area. This point offers beautiful views of Kwangde, Thamserku, KusumKanguru, Kangtega, AmaDablam, Island Peak, Peak 41, Lhotse, Lhotse Shar, Nuptse, Everest, Tabuche peak, Cholatse peak, Khumbila etc.. Back to hotel. Lunch & Dinner in hotel. NOTE: Every Friday and Saturday, do not forget to visit the local marker fair to shop for goods on cheap price. Highlights: Beautiful views of Thamserku, Kangtega, Ama Dablam, Lotse & Evereste 07.00am: Breakfast at your lodge. 08.00am: Start trek to Dole 09.30am: Arrive in Kyangjuma(3570). You can have good view of Ama Dablam, Thamsuekur and Khantega etc and contine the trek Sanasa(3650m). Here you will have two routes. Right turn will go to Everest Base Camp to so you will take left one. 11.15am: Arrive in Mongla Danda(3970m). Note Sanasa to Mongla Danda is uphill trek. You will have good view of Cholatse and Taboche. You will have your tea break for 15 minutes. After tea break, continue the trek to Phortse Tenga(3680m). It is down hill trek and takes about 1 hour. 01.00pm: Arrive in Phortse Thenga and have your lunch break. 02.00pm: Continue the trek after the lunch break to Phortse(3800m). It is uphill trek for 2 hours. 03.00pm: Arrive in Phortse and overnight in the local lodge. Note: Diner at the hotel. Highlights: Amazing view of Amadablem and kangtega. 08:00am: Star the trek to Dingboche(4360m) 11.00am: Arrive in Pangboche(3930 m). Visit to Monastry if open for 10 to 15 minutes. Continue the trek to Somare(4070m). 12.15pm: Arrive in Somare. Have your lunch break. 01.15pm: Continue the trek after the lunch break. 01.30pm: Arrive in Orhso and contiue the trek to Dinboche. 03.30pm: Arrive in Dingboche. Check in hotel and overnight at Dingbuche. Dinner at Hotel. Program: Trek to Nagarjuna(5000m) for 4 hours and see the beautiful views of Amadablam, Makalu, Barunche, Chopolo II, Merapeak. 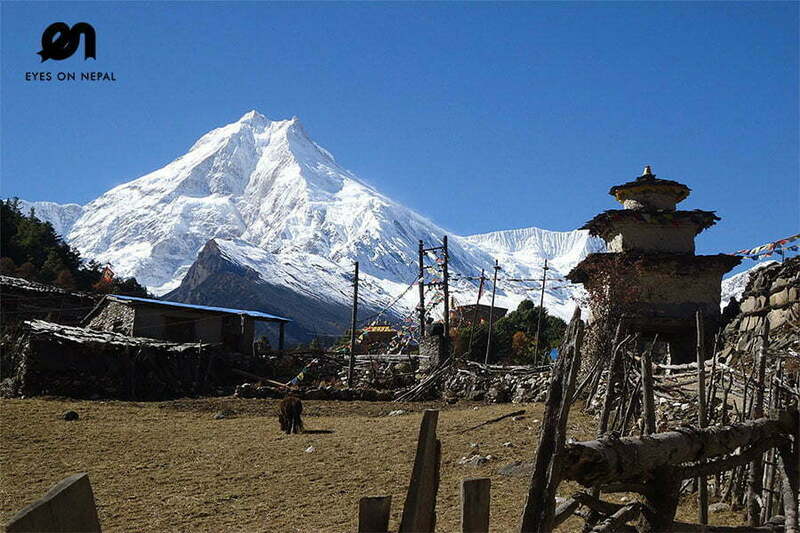 Or you can trek to ChukungVillage(4750m) for 3 hours and explore the village. It will take 2 hours to be back from either Nagarjuna or Chukung village. 8.00 am: Stat the trek after the breakfast toDugla(4600m) for 2 hours. Tea break 2 hours 10.00 am: Arrive at Dugla(4600m) and tea break. 11.00 am: Start the uphill trek to Lobuche(4940m) for 3 hours. 2.00 pm: Arrive at Lobuche(4940m) and check in hotel. Lunch and dinner at hotel. Overnight in Lobuche(4940m). NOTE: You can see amazing view of Nuptse, Cholatse and Taboche peak(6495m). 08.00 am: Start the trek after breakfast to GorakShep(5170m). 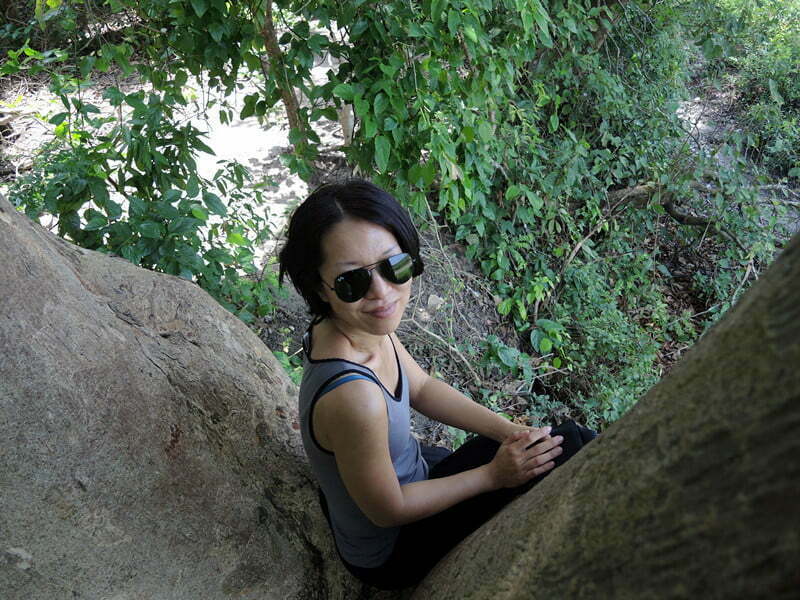 It is 3 hours’ uphill trek. 11.00 am: Arrive in GorakShep(5170m). Check in hotel and lunch. 12.00 pm: Start trek to Everest Base Camp (5300m) for 3 hours. 3.00 pm Arrive in Mt. Everest Base Camp (5300m). NOTE: You will see the views of Nuptse, Everest south shoulder, Chamgtse(7543m) Lingtren(6713m), Khumbutse(6639m) and Mt. Pumori(7138m) on Left hand sight. We won’t spend more than 30 minutes because of windy condition. 3.30 pm: Back to GorakShep(5170m) for 2 hours. 5.30 pm: Arrive in hotel and Dinner at Hotel. Overnight in Gorak Shep(5170m). 04.00 am: Wake up and uphill trek to Kalapatthar(5545m) for 2 hours. Note: You can see beautiful sunrise view and mountain likes Everest, Nuptse, Mt Pumori, Amadablam etc. We will rest for 30 minutes. 06.30 am: Start downhill trek back to GorekShep(5170m) for 1 hour. 07.30 am: Arrive in hotel and breakfast. 08.30 am: Start downhill trek back to Pheriche (4280m): 6 hours 10.30 am: Arrive in Lobuche (4940m) and continue the trek to Dughla (4600m) for 2 hours 12.30 pm: Arrive in Dughla and Lunch at Dughla (4600m). 01.00 pm: Start the trek to Pheriche (4280m) for 2 hours. 03.00 pm Arrive in Pheriche (4280m). Check in hotel and Overnight in Pheriche. Dinner at hotel. 08.00 am: After breakfast, start trek to Shomare(4070m) for 1 hour. 09.00 am: Arrive in Shomare (4070m) and continue the trek to Pangboche(3930m) for 45 minutes 09.45 am: Arrive in Pangboche (3930m) and continue the trek to Deboche(3770m) for 45 minutes. 10.30 am: Arrive in Deboche (3770m) and continue the trek to Tengboche(3860m) for 30 minutes. 11.00 am: Arrive in Tengboche (3860m) and lunch. 12.00 pm : Start the trek after lunch to Namche Bazar(3440m) for 3 hours. 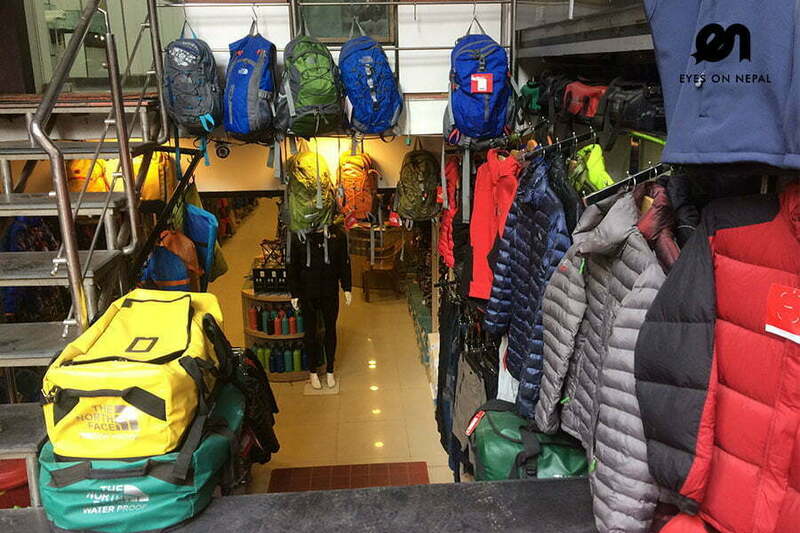 03.00 pm: Arrive in Namche Bazar(3440m) and check in hotel. Overnight at Namche Bazar. 08.00 am: Start the downhill trek after breakfast to Hilary bridge for 1.50 hrs. 09.30 am: Arrive in Hilari Bride and continue trek to Jorsale(2810m) for 30 minutes 10.00 am: Arrive in Jorsale (2810m) and continue the trek to Monjo(2840m) for 30 minutes 10.30 am: Arrive in Monjo (2840m) and continue the trek to Bengkar(2710m) for 30 minutes. 11.00 am: Arrive in Bengkar (2710m) and continue the trek to Toktok (2760m) for 30 minutes. 11.30 am: Arrive in Toktok (2760m) and continue the trek toPhakding (2610m) for 45 minutes. Lunch at Phakding(2610m). 01.00 pm: Start the trek to Ghat(2590m) for 1 hour. 02.00 pm: Arrive in Ghat (2590m) and continue the trek to Chheplung(2660m) for 30 minutes. 02.30 pm: Arrive in Chheplung (2660m) and continue the trek to Lukla for 1.5 hours. 04.00 pm: Arrive in Lukla (2840m) and check in hotel. Overnight in Lukla. US$ 1299 per person (Based on 2 persons) The price quote is based on 2 people per trip. We offer special price for group consisting more than 2 persons.